Happy New Year everyone... I hope you all had a great Holiday season. Today is my first post for the Newton's Nook Design Team and I'm so excited to be joining this team. You will love the new release we have coming up later this month. In the meantime be sure to stop by the NN Blog for some great projects from the new team. 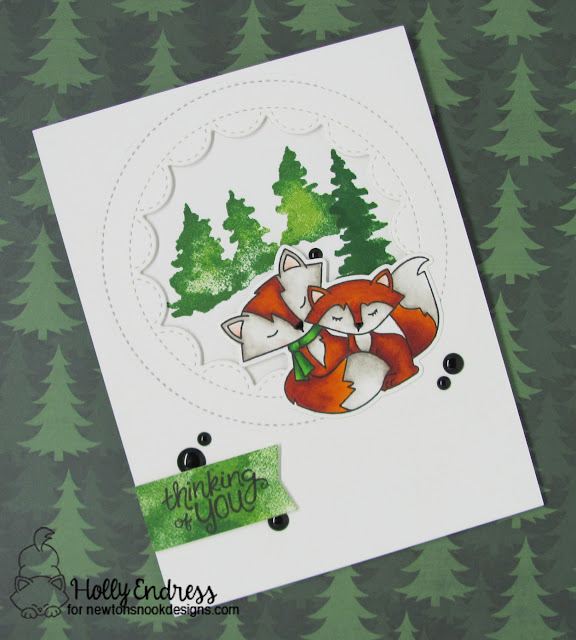 My card today features the adorable Fox Hollow set and I used the Whispering Pines set to create my scene. I started by stamping the trees onto a White card base using two shades of Green pigment ink and then I added a dark Green Dye ink on just the edges to create a shadow effect. I really love the watercolor look you get with this set. Then I die cut another panel of White card stock creating a window. I adhered the window panel over the card base with some foam adhesive to pop it up. 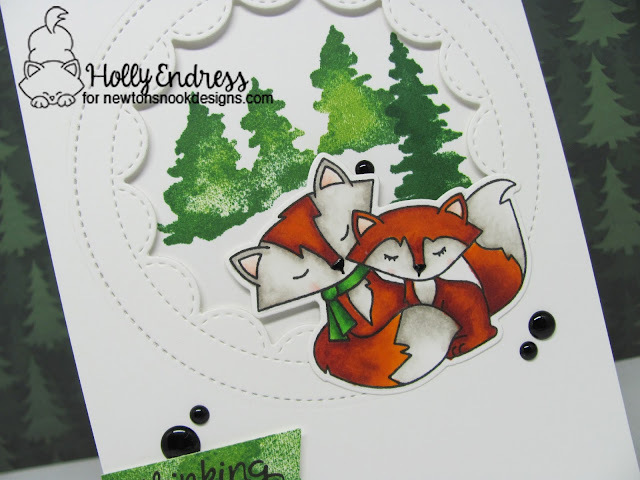 Then I stamped the fox image and colored it in with Copics and I used the coordinating die to cut the image out. I adhered the fox on the outer edge of the window with some foam adhesive. I stamped the large tree image from the Whispering Pines set using the same Green inks onto a scrap piece of paper and I cut a banner out of it and stamped the sentiment. I adhered the onto the edge of the card front. I wanted a little more Black so I added some enamel dots in different sizes and some Black Nuvo drops to the nose of each fox. So cute and I love how the coloring of the Foxes came out. Head over to the Newton's Nook blog for lots of great inspiration. This card is so beautiful! 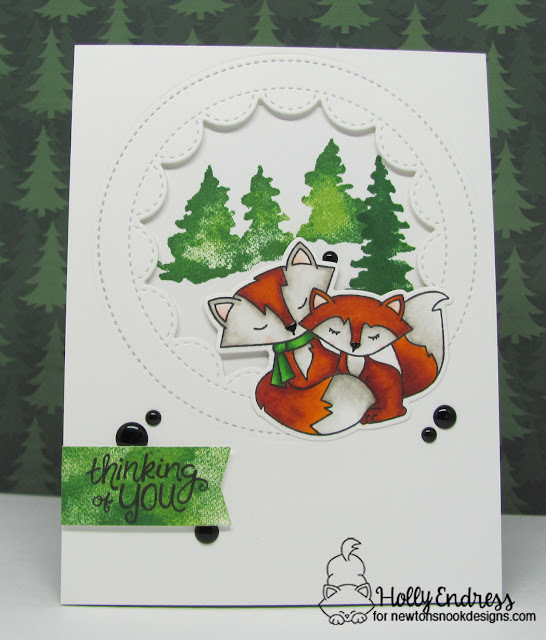 I love the way you created a woodsy scene behind those two cute foxes! Happy New Year!